REDUCE DARK CIRCLES & PUFFINESS - Our lightweight formula is packed with powerful ingredients to address all eye area concerns. 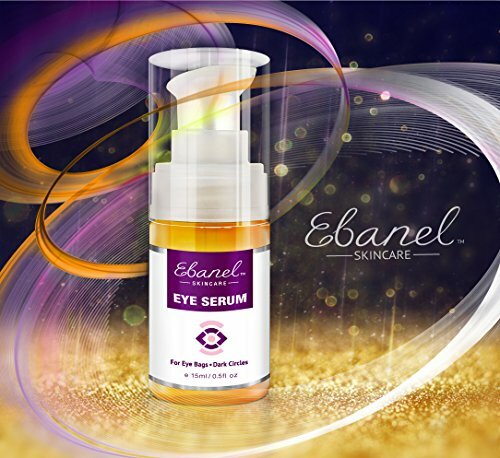 Feel refreshed and reveal radiant eyes! RESTORE RESILIENCE, REVITALIZE and REFRESH & SOOTHE - Glides smoothly onto the skin and absorbs quickly with no greasy residue. HIGHEST QUALITY - Natural ingredients with no harsh chemicals, sulfates, parabens, alcohol, or artificial fragrances. NO animal testing! Made in the U.S.A! 100% SATISFACTION OR MONEY BACK GUARANTEE - If you are not fully satisfied with your purchase, we will refund your money. Buy with confidence!